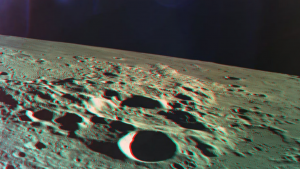 Beresheet may have crashed while attempting to touch down on the Moon on Thursday, but the company behind the failed Moon landing isn’t discouraged. “We’re going to build a new spacecraft, we’re going to put it on the Moon, and we’re going to complete the mission,” SpaceIL founder Morris Kahn said in a video released just two days after the failed landing attempt. It’s not entirely surprising that SpaceIL isn’t ready to give up the dream of a Moon landing just yet. Had Beresheet successfully completed its mission, it would have been the first privately owned craft to land on the Moon. It also would have made Israel just the fourth country in the world to soft-land a craft on the Moon’s surface (though to be fair, a few others have crashed objects into it). Right now, the details of a Beresheet 2 spacecraft are practically nil, and Ben Nathaniel, a volunteer on the SpaceIL education team, doesn’t expect the road to launch to be an easy one. Editor’s note: an earlier version of this article misidentified Ben Nathaniel’s role at SpaceIL. It has been updated.